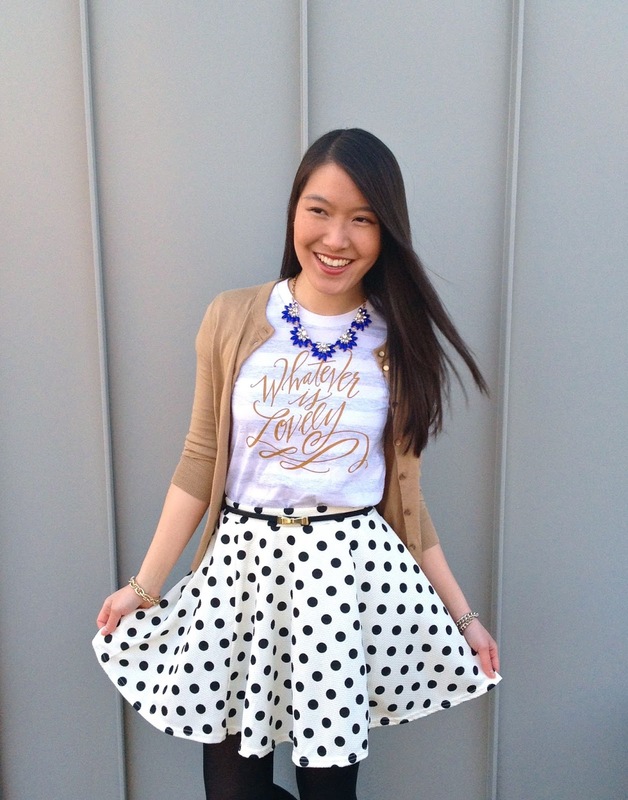 I'm excited to be talking about skirts with you today! This post is also being featured by my fellow blogger, Rhea Et Cetera, so please be sure to hop over to check it out! As I've said over & over again, I believe style is unique to each person. But I'm delighted to share with you my own style story and what I've learned about the art of the skirt. I don't know how you feel about skirts, but I think they are so fun to wear. They are incredibly versatile and have multiple super powers. Okay, so maybe they won't make you fly or travel in time, but they do have the power to transform any look and expand your wardrobe! As a budget shopper, I'd consider that a super power! Let me demonstrate a few of these super powers with examples of my past outfits. Skirts have the power to create the illusion of an hour glass figure on any body type. As a girl with absolutely no curves, A-line skirts are my best friend! But it also works for those of you with apple, pear or whatever other fruit shapes there are! Details of this look here. 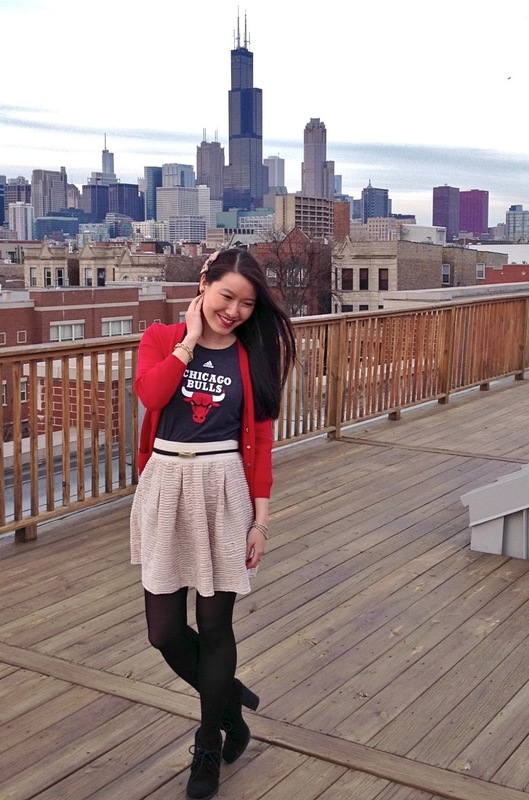 As a total girly-girl, graphic tees have never really fit in with the rest of my wardrobe. 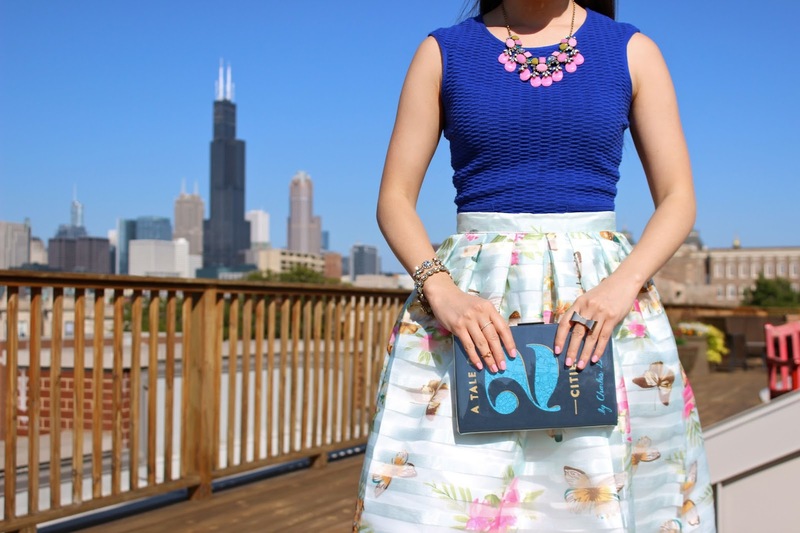 But that was until I started pairing patterned & textured skirts with them! Overall it creates a really fun look for a girl's night out or weekend wear! 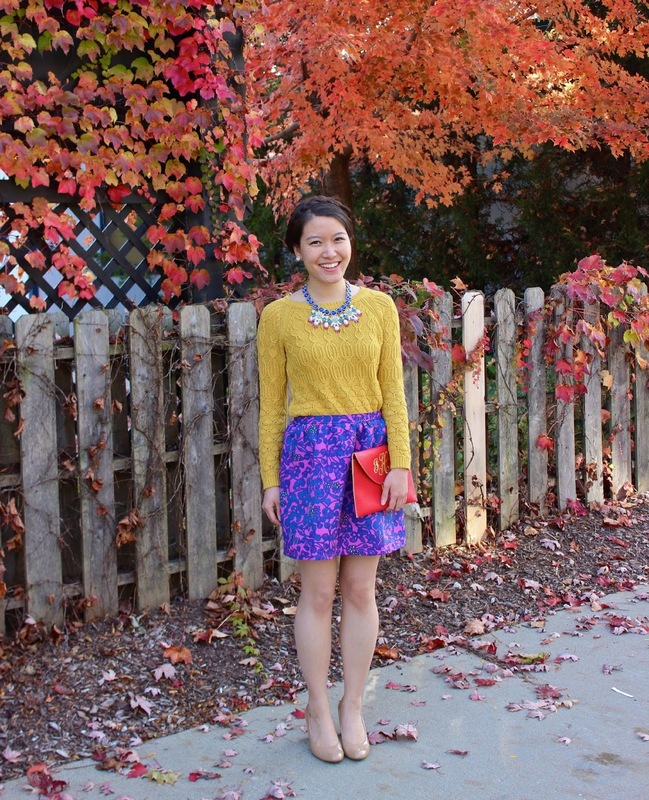 Skirts are also the easiest articles of clothing to execute the color block look perfectly. The end product will be a bold look that will for sure turn heads! Dare to be bold & bright! 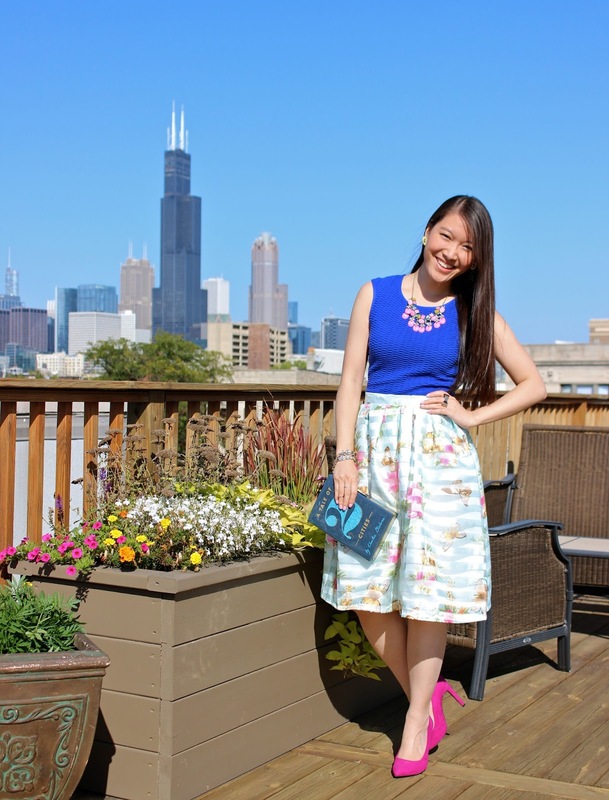 I really like that ombre skirt in the first outfit :) Thank you for co-hosting the link up! 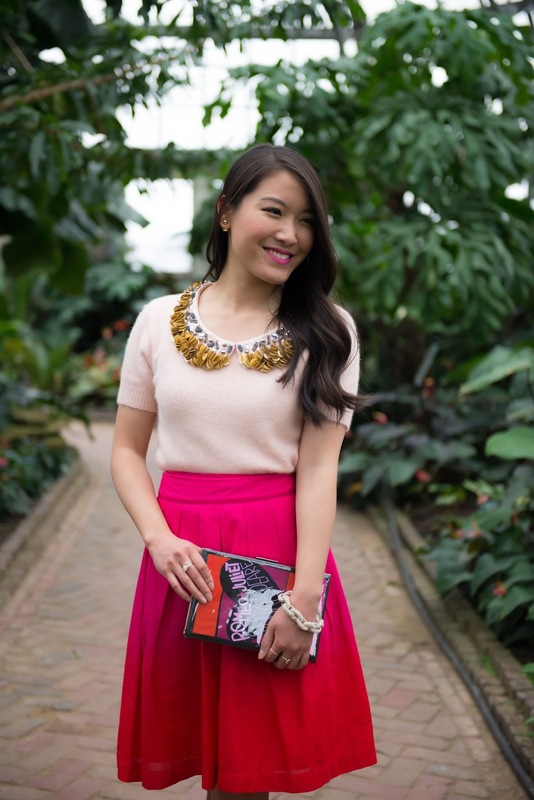 Everytime you style one of those Kate Spade novel clutches, I love you even more! Skirts are so versatile. I love the pink one you showcased. I love all of these looks! The first 2 are especially cute. I honestly love wearing skirts. I find them so comfy! You have so many gorgeous A-line skirts in your collection, Grace. 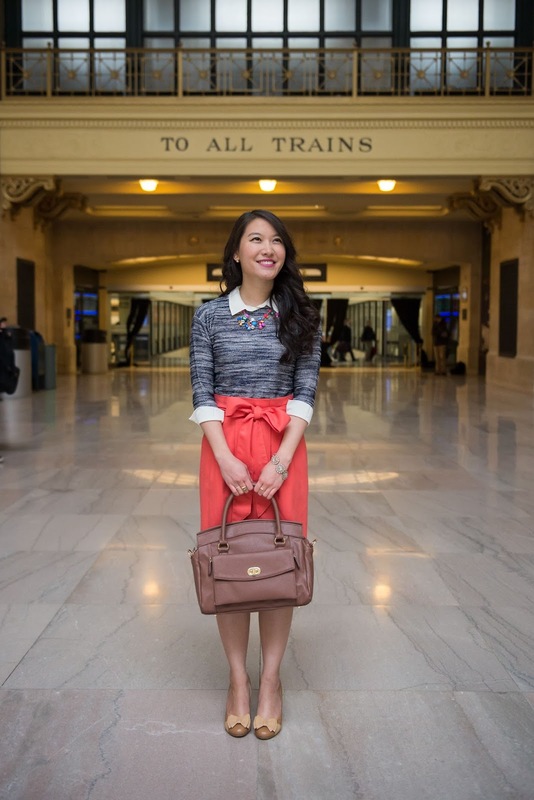 So many pretty and feminine-chic outfits. Love the organza floral skirt and the red bow skirt the best! Love all of these looks! You have definitely mastered the art of he skirt! I always like the outfits you wear. You look like a model in all of your photos as you carry off your style so well. I'm not sure what my style story is, it's a bit of a mix. Love all your pretty looks! Stop by my blog Friday for a fun link up party! Following you on Bloglovin' now! You have a good collection of pretty skirts!